A relationship ending is one of the main causes of debt, especially if it is not an amicable separation. Legal fees, settlements and the sale of assets can see the money pot quickly deplete and in its place debt accumulates. For some, an addiction to gambling can quickly cause them to spiral into debt. They believe that another play on the machine or another bet will resolve their problems, when in reality it is only contributing to the debts piling up. Some gamblers also borrow money to pay for their habit, which of course leads to serious issues down the line when their bets don’t pay off. 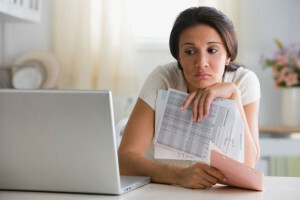 Redundancy, termination of employment or simply a rise in living costs can contribute to debt problems or even create them. If the money coming in cannot keep up with the amount leaving the bank account, this could result in large amounts of debt and a struggle when it comes to paying bills and the mortgage. Something as small as a washing machine breaking down could drive a household into debt, if they do not have rainy day savings stashed away for such an event. Alternatively, a death in the family and the expense of a funeral could also push those arranging it into financial problems if the family member who has died has not left any funds for it. More and more people are refraining from purchasing older vehicles and instead opting for a finance deal with a garage – but do not realise they are technically in debt while doing so. If their circumstances change or the payments go up this could have a hugely negative implication on their finances and worsen their debt situation further. An illness that means you cannot work could lead to debt over time, as you lose your main source of income but still have to pay the bills. If you have to pay for private healthcare this can also lead to debt problems as many people must take out loans to pay for the cost of their treatments. Children cost money to raise – in fact £231,843 in total by the time they are 21 years of age – so it’s no wonder some families fall in debt as they attempt to purchase everything they think their child will need via credit cards and even small personal loans. If they aren’t careful, with rising interest rates, they could end up owing a lot more than they initially borrowed. If some of these situations ring true for you, it’s important you seek help. There is plenty of free advice and assistance out there for people struggling with debt, no matter how much you owe. We’ve also written our own eBook giving tips on how you can rid yourself of debt for good!